A big part of website design and development is setting up each website to perform well in search results and encouraging each client to get in good habits for long term SEO. As we've continued to increase the number of (really great!) non-profit clients we work with, several trends have emerged as ways to steadily improve organic traffic. 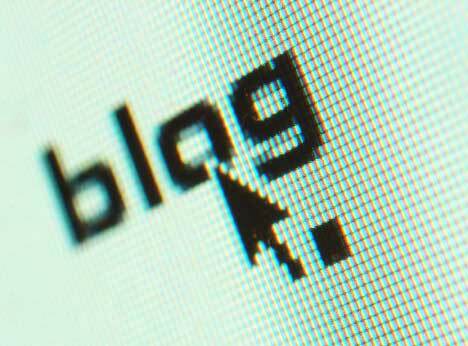 It's no surprise that blogging is good for SEO. For non-profits that are doing amazing work to help people however, sharing those stories is an absolute must. While a non-profit's homepage and domain name might be enough to help it rank well for people searching directly for the organization, creating consistent content about important relevant issues will increase the traffic of people who are definitely interested in those issues but also might not be sure how to contribute. Allow people to donate to the cause if they missed it. By taking these steps, the non-profit not only gives people who wanted to go to the event and couldn't the ability to still contribute, but it also prevents the loss of any inbound link credit from other sites who linked to the event page as a result of all the initial promoting. Inbound links are a big factor in determining search engine ranking. While a non-profit may already have a network of supporting organizations, showing appreciation for that support by linking out to those organizations, either through a blog post thanking them for their support or a dedicated page on the website, is a great way to give them an opportunity to return the favor and link back to the non-profit's website. Because inbound links are so important to search engine ranking and the web is becoming increasingly socially connected, non-profit's should make it as easy as possible for users to share that they contributed to a good cause, something they are likely proud of in the first place. Whether it's by adding a "Tweet this" or "Update this on your Facebook status" button to the thank you page of a volunteer form or giving users the ability to email their friends and encourage them to join in on volunteering, the key is to make sharing extremely easy. While it's sometimes tempting to have fancy fonts throughout a website, it's important to remember that there is a limited number of fonts that are safe for the web, meaning all computers have the font installed and will display the text properly. When a non web-safe font is used in a website design, a picture of the text has to be inserted to make sure the font displays the same for all users. Main navigation menus and headlines are the most common places where organizations use images to display text. When an image of text is used, not only is it much more difficult to adjust the text when changes need to be made, but search engines can't index the text as well. There is a workaround for this rule called @font-face that allows designers to use many fonts that are not web-safe as if they were. An example of @font-face in use is the main menu on our Web Content Management site. We obviously recommend our own CMS with built-in SEO, but the important thing is to take SEO into consideration when choosing a CMS for your organization. What other ways can non-profits improve on their search engine optimization? How else can a CMS facilitate the process? Great tips. Since many non profits have limited financial resources these tips are helpful. Thanks for posting. @Jeff Glad you found it helpful! Thanks for reading!